William Penn University provides the opportunity for an educational experience with a focus on leadership, technology, and the Quaker principles of simplicity, peace-making, integrity, community, and equality. These goals identify how the principles listed in the Mission Statement will be pursued and how the University will provide an educational opportunity for its students, through the University’s Academic Programs and Co-Curricular Departments. At William Penn University our mission isn’t simply a set of goals we hope to achieve. It’s who we are at our very core. It’s the belief that every individual has value and deserves access to a quality education. That it’s our differences that really do make us stronger. Our Quaker principles are the pillars of true leadership in today’s world. To realize a powerful vision for the future, it takes an equally powerful history from which to gain the necessary knowledge, perspective, and perseverance. At William Penn, we have that kind of history. 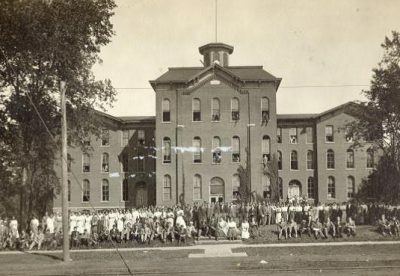 Founded in 1873 by Quaker settlers who strongly valued education and then named for the Quaker, William Penn, the University was located in Oskaloosa and graduated its first class in 1875. Since our founding we’ve persevered through a 1916 fire that destroyed the original campus, transitioned from college to university status, led the way in educational programs for working adults, and greatly expanded our campus and facilities. The first graduate of William Penn, in 1875, was a woman—something that was relatively unheard of at the time. This is a testament to our Quaker heritage and belief system. We believe in simplicity, peace-making, integrity, community, and equality. We believe education is for all, because there’s value in everyone. We believe in celebrating our Christian faith and letting it frame our outlook on the 21st-century world while also welcoming those with other spiritual beliefs. And we believe that education brings many rewards in life as well as a responsibility to use our knowledge for the service of others. Discover the major milestones in our history since being founded more than 140 years ago. Learn from President John E.E. 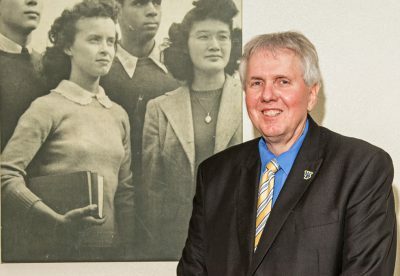 Ottosson about why the mission, vision, and heritage of William Penn University is such a powerful one for today’s students.